Some people like to remain in the background quietly serving the pond club without a great deal of notoriety, and we as members often forget there efforts. One of these members is Ed McKee. Ed has been a member of the Niagara Frontier Koi and Pond Club for twelve years and for six of those years he has served on the board. He has helped set up and take down the tanks at the Koi show for the last twelve years and assisted with the running of the show. Ed helped build the Erie County fair pond and on several occasions has helped in the yearly cleaning and has manned our booth at the fair. Ed spearheaded the volunteer work cleaning up the old pond at the Coit House. Ed’s background fits in with the needs of our club since he owned and ran a nursery and is a licensed electrician. He was one of the first members to start working at the Erie County Botanical Gardens doing the initial clean-up. Later, when the Club took over the responsibility for maintaining the Koi pond at the gardens, Ed headed up a team to install I 220 volt service to run the pump for the falls (over 1,000 ft of wire) which saved the gardens hundreds of dollars and made Greg’s dream a reality. 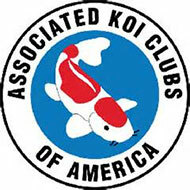 We are proud to nominate Mr. Ed McKee for the AKCA Koi Person of the Year and thank him for all the help he has given our club over the past twelve years.